A few years ago I clipped an ad from a magazine that was designed to raise awareness for ovarian cancer. 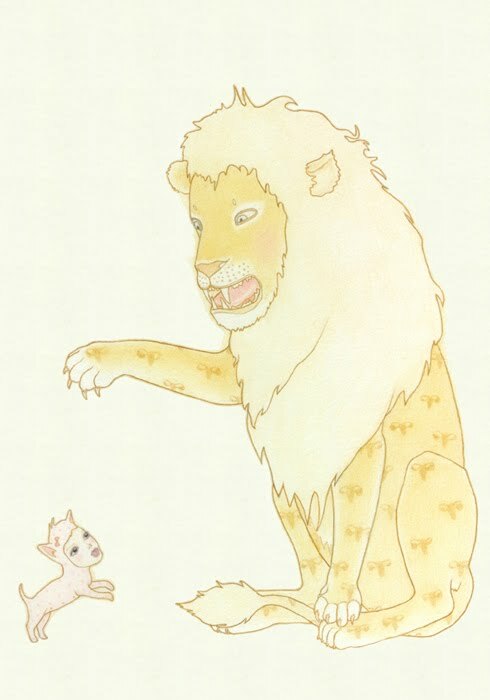 The artwork featured the gorgeous artwork of Lilly Piri - a lion and a little lamb (see image above) and I kept it for a long time on my inspiration board. And then recently I was reminded of Lilly's talent from her contribution to the Art 4 Heart QLD Flood fundraiser. Time to share with you all I think! 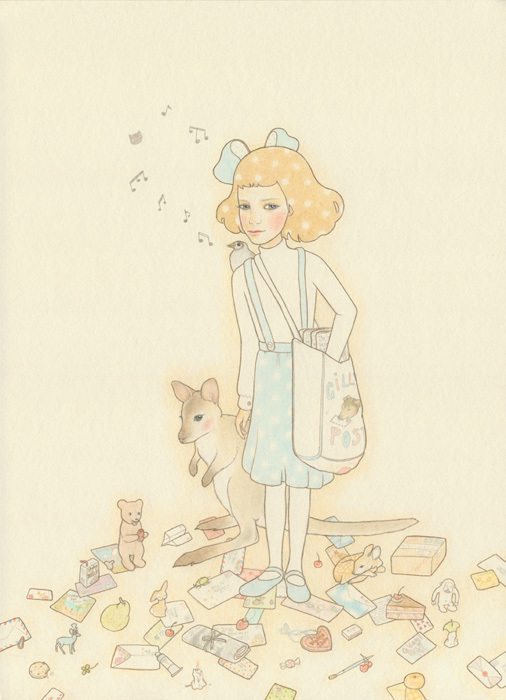 Based in Heidelberg, Victoria, Lilly Piri creates whimsical scenes using coloured pencils, oils and sculpture. You might recognise her work from magazines and the yearly Frankie calendar where her illustrations are published. On Lilly's website you will find links to her original art, iPod, iPhone and laptop skins (yes please! ), t-shirts, notepads, cards and other goodies. I love Lilly's mysterious characters with their expressionless faces and soulful eyes. 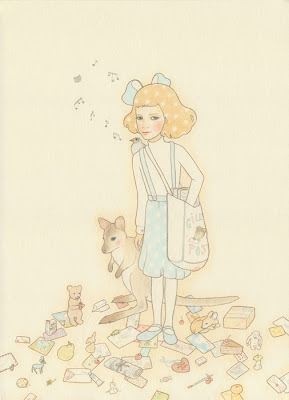 And I especially love her judicious use of pandas and Australian animals (bilbies! quolls! koalas! ); I'd love to visit her magical world where native animals abound for cuddles and play. You can find Lilly Piri art and commissions in the online store, on Etsy, Lamington Drive and Thinkspace Gallery (US).